Home renovations are a curious thing. For those of us who have been down that winding road, it's true to say that while we start off being excited by paint chips and fabric swatches, or the colours and textures of furniture and furnishings, as the build progresses, we quickly become obsessed with the shape and material of details such as light switches and door handles. Here then is something that will thrill anyone involved in a reno who is up to choosing details for their bathroom, and the wet areas in particular. 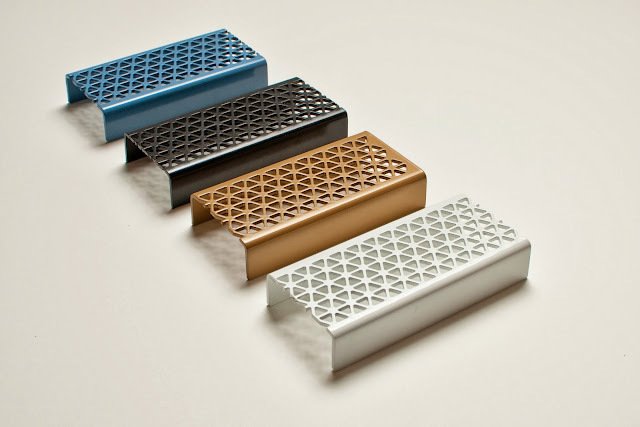 A collaboration between Marc Newson and Australian business Stormtech - innovators of architectural linear grates – has created a new decorative solution for wet areas: a marine-grade stainless steel grate, incorporating Newson's signature tessellated hexagonal pattern in a choice of five finishes. Go on, it's okay to drool.